No matter how many talented authors we interview, I'm always surprised at the new ways each of them chooses to market their books and make them a success. 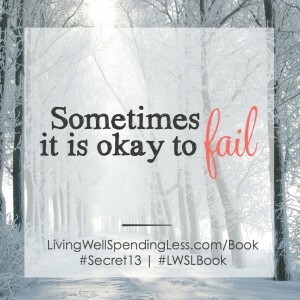 Ruth Soukup, best-selling author of How to Blog for Profit Without Selling Your Soul, and just today, Living Well, Spending Less, 12 Secrets of the Good Life, shares 7 great tips on marketing your book and turning it into a best-seller. 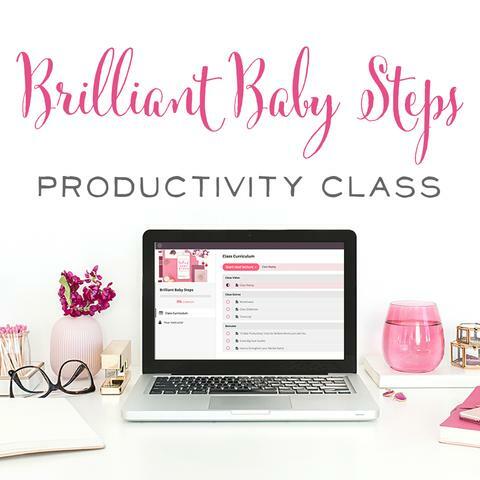 She discusses timelines for traditional publishing versus self-publishing, strategies she's used for growing her blog, what's working for her with Pinterest right now, and the development of her course, Elite Blog Academy. 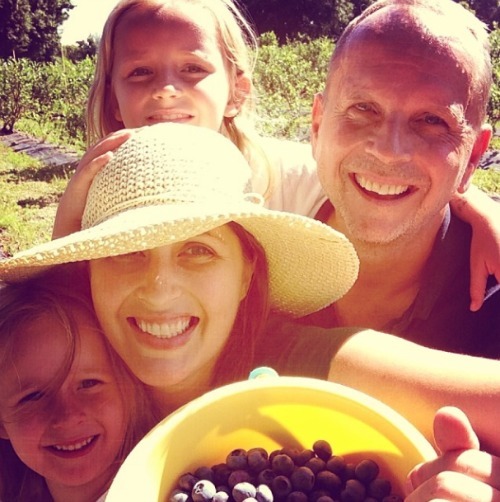 Most of all, I love Ruth's story of setting a huge goal for herself: earning a full-time income blogging and bringing her husband home from his job. 3 years into her blogging journey, Ruth accomplished her goal, and her blog and business continue to grow on a daily basis. Ruth is so kind, down-to-earth, and of course, chock full of great advice! If you're struggling to figure out what having the good life means for you right now, we highly recommend that you check out Ruth's latest book. It's chock full of great advice and encouragement. As Ruth says, “You can do it! You can do it!” I hope you leave this podcast feeling pumped up and encouraged to keep working towards your biggest dreams and goals. We believe you can do it too! 04:31 – No You're Not Stupid. Ruth Says You Can Do It! 46:18 – A Funny, Messy Mom Moment! 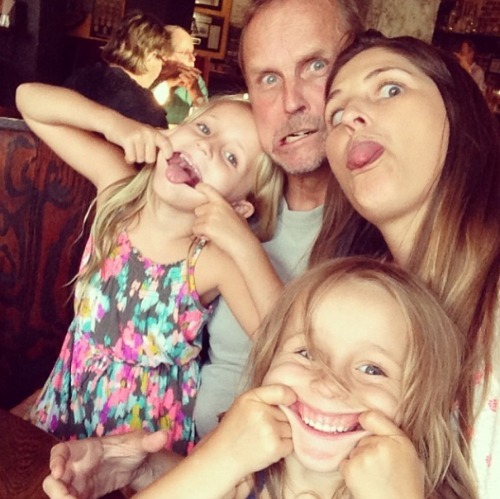 In 2010, Ruth and her family had recently moved to Florida from Washington State. She was missing her friends and family and felt lonely as a mom with 1 and 4 year-old girls. She spent a lot of time wandering Target or the mall and going shopping. She was spending more than she should have, so fighting about money became a common occurrence for Ruth and her husband. Finally, they took drastic measures, and Ruth was on a really strict budget. Not knowing what else to do with her time, and needing an outlet to hold herself accountable, Ruth decided to start a blog. She hadn't read many blogs before, so as she began, it was as if a whole new world was opened up to her. 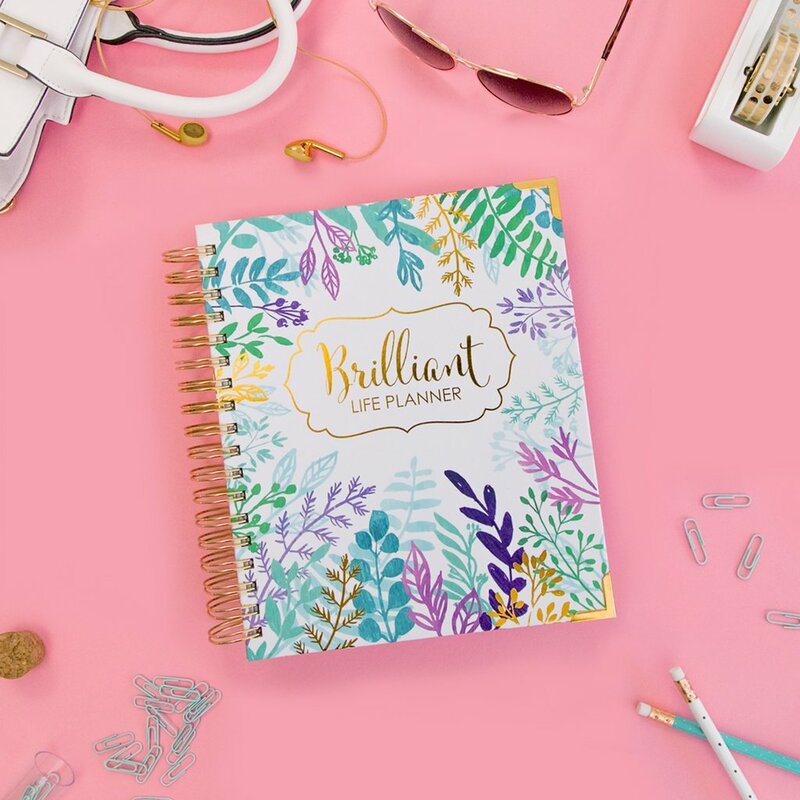 Ruth realized that there were people who made a full-time income from blogging, so pretty early on, she set that goal for herself. She told her husband she was going to be a blogger so that someday he could quit his job. He told her multiple times that her idea was dumb – you can't make money with a blog. 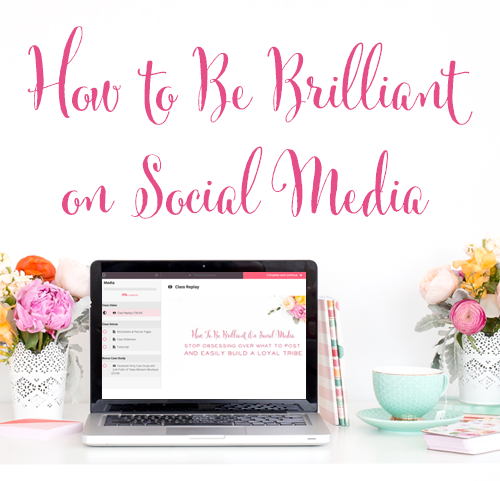 Ruth knows from experience how easy it is to get discouraged in the early stages of blogging when everyone else tells you that it's just plain dumb and doesn't make any sense. Ruth's pick-me-up when she felt discouraged was Darren Rowse's book: ProBlogger: Secrets for Blogging Your Way to a Six-Figure Income. She read it at least 50 times in her first 6 months of blogging. “Darren says I can do it, so I'm gonna do it!” Ruth would tell herself. The best part? Ruth got to meet Darren in person last summer. Even though she was a complete spaz and star-struck for the first time in her life, Ruth says that Darren was so nice. It was great for her to tell him in person how much his book meant to her. The Power of Habit by Charles Duhigg – This book discusses creating good routines for yourself. It takes a different part of your brain to do something that's routine versus something that's new, so if you can build strong habits, you'll be able to extend your discipline and ultimately accomplish more things. 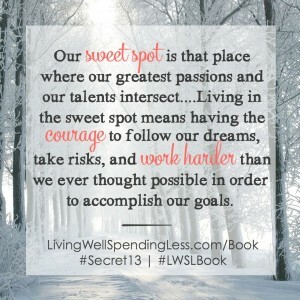 Ruth's Newest Book, Living Well, Spending Less: 12 Secrets of the Good Life is all about discovering what it means to create the life we've always wanted. Ruth used to think that the good life was about the celebrity lifestyle – big houses, private jets, fancy clothes, and more. Many of us have a similar idea that the good life is about all the stuff we can acquire. That's what marketers, retailers, and everyone who's selling to us wants us to think. Each chapter discusses a different secret of the good life. Everything from goal-setting to saving money on groceries, setting a budget, learning contentment, and de-cluttering are covered. Every chapter revolves around the theme of what the good life really means and how we can get it for ourselves. The main drawback for traditional publishing is the very slow timeline attached to the process. As she finished the How to Blog for Profit manuscript, she heard back from publishers and got offers for a book deal. Began writing manuscript for Living Well, Spending Less and turned it into Zondervan in January 2014. Ruth has been waiting a whole year for her book to come out in stores! As you can see, self-publishing runs on a much faster timeline. The only limits are really your own writing, editing, and formatting power! A book about blogging or any other topic that changes quickly, would be silly to publish in a traditional format. Self-publishing allows Ruth to make updates and changes to her book at any time. She's already added a 2nd edition for How to Blog for Profit because things in the blogging world change quickly. After writing her book, How to Blog for Profit, Ruth did consulting with other bloggers, and discovered that most of them had questions about the same things. 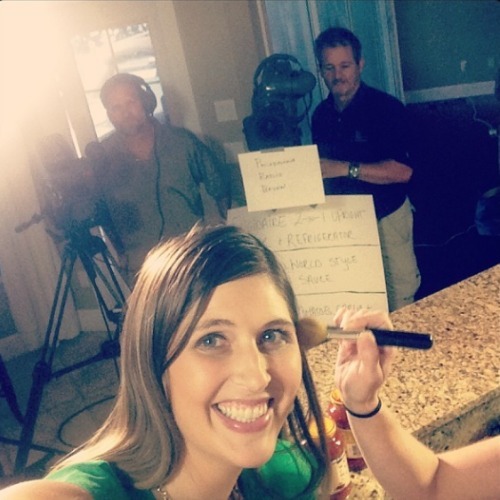 They wanted someone to walk them through the process of growing a blog, step-by-step. She created a course to solve that problem. How do I refine my message? How do I know if what I'm presenting is the right message for me, for my audience, and a message that the world wants to hear? After I've refined my content, how do I find people who will read it? How do I find new readers and grow my audience? Once I've grown my audience, how do I monetize the content that I've built up? How do I grow my business? How do I start looking at myself not just as a blogger but as an entrepreneur? Ruth talked with publicist, Ashley Buffa, who specializes in e-books, and she gave her great advice on launching How to Blog for Profit successfully. Ruth mentioned the book on her blog, and many other bloggers wrote about the book as well. Ruth's book was accepted on BookBub.com who shared news of her introductory sale. Make sure your book is really helpful. People will always share great content. Once your book makes the Top 100 in its category on Amazon, the site will take notice and start marketing the book for you. They'll email people who buy similar books and recommend it to shoppers on the site. All of this happened on Launch Day – September 25, 2013, so that led to a huge blitz of sales and views for her book on Amazon. How to Blog for Profit hit #14 on Amazon's main list and it was #1 in the Blogging category for a year. Ruth shared that they sold 1,400 copies of her book on the first day. Making a best-seller list most likely depends on the day and which other books you're competing against, but 1400 sales and at least 25 reviews before launching is a great reference point! How to Blog for Profit consistently stays in the top 10 for blogging books. We can also attest to the fact that people are STILL talking about it! 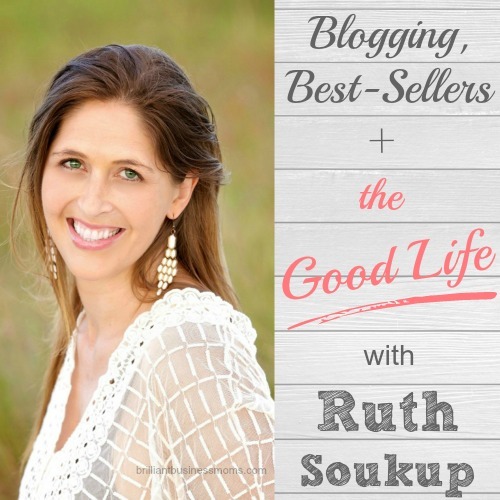 Many of the guests on our show have recommended Ruth's book as their go-to resource for blogging. FYI: Ruth got plenty of reviews by reaching out to her email list of bloggers who participate in her Thrifty Thursday Link Party. At that time, she had about 500 bloggers on the list. She wrote to them hoping that 40 people would volunteer to read her book for free and write a review for her on Amazon. After sending the email, Ruth had 200 responses within minutes. She knew at that point that there was probably a good market for her book! Bookbub.com is a site that features books that are on sale for the day. 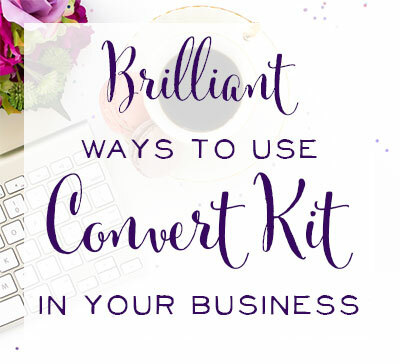 They have over 1 million people on their email list, and they send out a book list to their subscribers every day. You can customize which email is sent to you based on the book genres you're interested in, so as an author, it's a great way to get in front of book buyers who are interested in your niche. Ruth shares that it took twice as long to develop the curriculum for her course, Elite Blog Academy, than it did to write her book, How to Blog for Profit. There are 12 units in the course, and every single unit goes way more in-depth than the book. 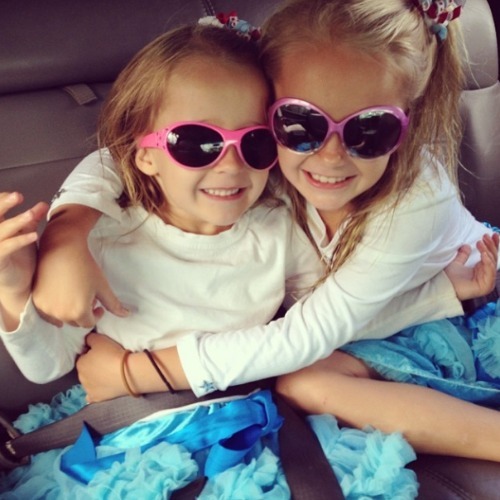 Each unit has multiple assignments and is very hands-on. After the curriculum, Ruth wrote scripts for the videos that accompanied each of the 12 units. The course took 9 months of development. 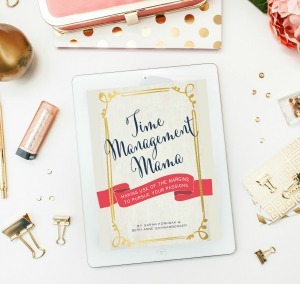 It was the biggest investment she's made into her business so far in terms of both time and money. The first session of Elite Blog Academy was launched in September 2014. Ruth expected to enroll maybe 100 students. Instead, they enrolled 700 students, which was the max capacity for their first run! The feedback has been incredible for the first group. They have a forum where they can connect, and they're sharing amazing success stories. In just 2 months they're seeing double and triple numbers in traffic and income growth. FYI: Ruth will open the course again in the Spring, and you can sign up to be notified when it opens. Ruth has used multiple strategies through the years to grow her blog. She shares 4 things that have worked well for her at different times. Content – Start by having fantastic content. Your content must solve a problem and provide value to the reader. SEO – Optimize every post to include the keywords you'd like to target. Ruth optimized every single thing, even at the very beginning. Eventually Google took notice. When the TV show extreme couponing came out 6 months after Ruth started blogging, her series called The Beginner's Guide to Coupons was the first search result for “how to use coupons”. 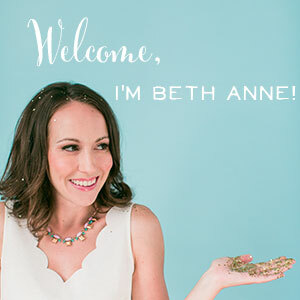 Suddenly, Ruth went from having no traffic to over 5,000 people a day on her site. Pinterest – Ruth became active on Pinterest early and saw a huge spike going from 100,000 pageviews per month to over a million per month due to Pinterest. The Perfect Pin – Ruth Explains All! With Pinterest's Smart Feed, having fantastic content is even more important. Pinterest is selecting certain pins over others and weighing some things more heavily depending on the strength of the Pin. It's imperative to have the perfect pin for every post. Description – Explain the problem you're solving and why the reader should read your post right now. Be compelling; draw the reader in. Ruth's typical day starts around 4 AM. She has a cup of coffee, writes her list of what she needs to accomplish for the day, has devotional time, sometimes goes for a run, and then dives into her work. Ruth uses that early morning time as Eat That Frog time. She works on big projects, such as books or other content to write. Her husband wakes up at 7 and gets the girls up. From 7-8 she helps her husband Chuck get the girls ready for school. Chuck is a stay-at-home dad and keeps everything running at home for them. Ruth knows that having a stay-at-home parent is a luxury. She's so blessed to have him to focus on all the details that she would forget. When Chuck takes the girls to school, Ruth goes back to work from 8:30 – 3:30 or 4 in the afternoon. Evenings and weekends are reserved for family time. Ruth's husband wasn't always a stay-at-home dad. He was an aerospace engineer for 30 years, but he hated his job. In April 2013, the Soukups made the leap as Chuck left his job to be a stay-at-home dad while Ruth's blogging career would support the family. At the time, Ruth's blog was growing, she was homeschooling her girls, and they all knew something had to give. Still, it was a risky move. The blog was making money, but not at the level that it is today. Being completely debt-free (including their house!) along with owning a rental property and some other investments gave them the freedom to take the plunge. Once Chuck came home, Ruth was able to focus 100% of her energy on the blog and business, and it grew so much more than it ever had before. Ruth went from a solo show to hiring 2 full-time assistants who work in-office with her, and she has many contract employees as well. A Funny, Messy Mom Moment! You'll have to tune in to hear Ruth's funny story of getting the house ready for Thanksgiving….and the catastrophe that can happen when kids and dogs are involved! Stay in Touch with Ruth! What were your takeaways from the podcast? Most of all, I was encouraged that Ruth was once a newbie just struggling to grow her blog too. With tons of hard work, constant learning, and persistence, she's become a huge success!